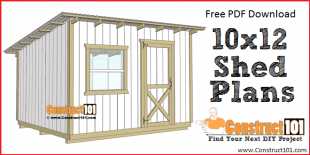 4×4 chicken coop plans, plans include a free PDF download, illustrated step-by-step details, shopping list, and cutting list. 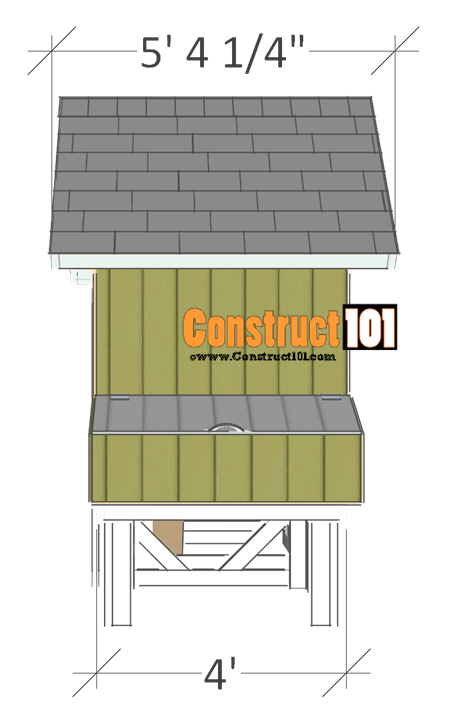 Chicken run shown measures 4×8, download these plans for the chicken coop and run below. 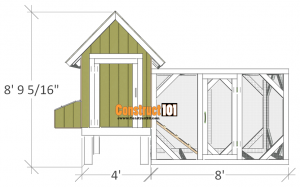 The deck for this chicken coop will measure 4′ wide x 4′ deep. 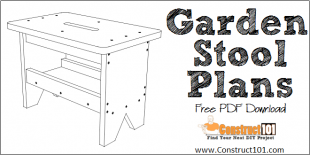 Drill pilot holes and assemble the floor with 3 1/2″ nails, 2 1/2″ deck screws, and carriage bolts. 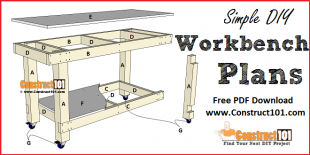 Begin with A and B, next build the legs, C and D, nail 3 1/2″ nails through C and into D. Once the legs are assembled attach them to the floor frame, drill holes and attach legs with 3 1/2″ galvanized carriage bolts, nuts, and washers. 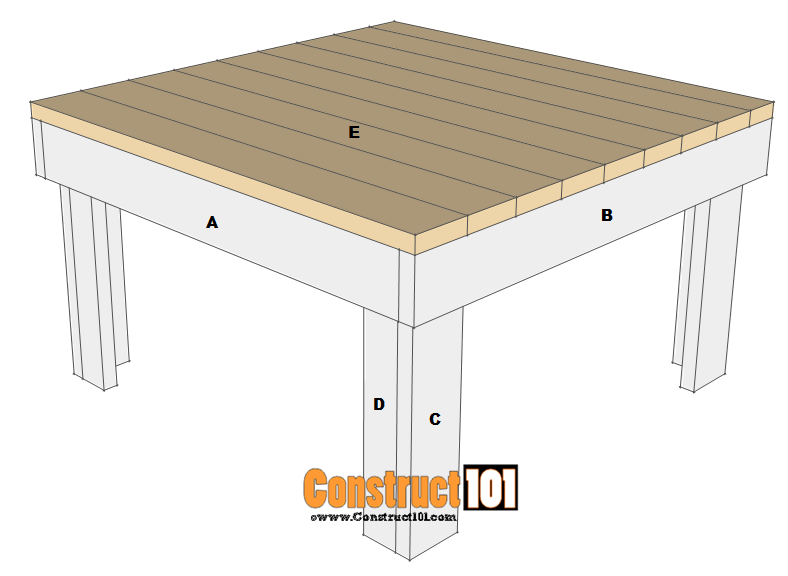 Finish the floor by installing the 2×6 floor deck. 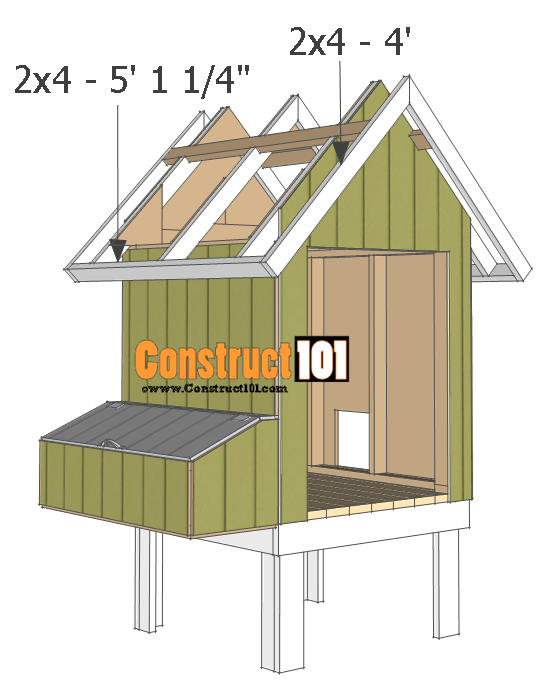 E – 9 – 2×6 – 4′ (rip one 2×6 to 4″ floor deck should measure 4’x4′ make adjustments if needed. 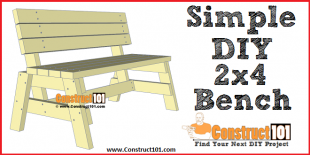 Build the back wall frame using two 2×4’s 4′ long, and three 2×4’s 3′ 9″ long. Assemble as shown on illustration above using 3 1/2″ nails. 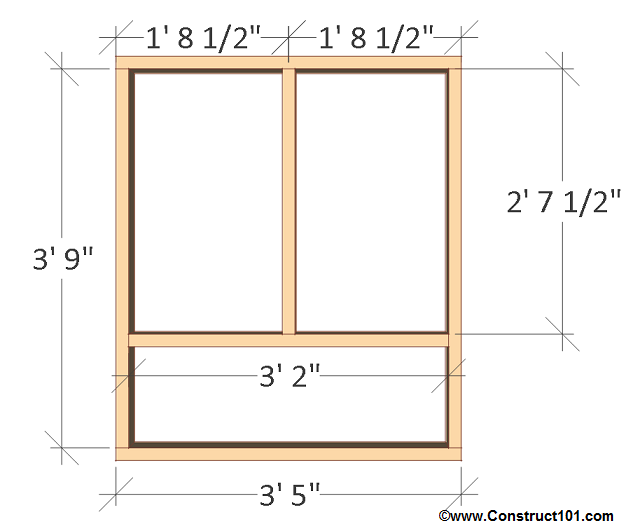 Build the front wall frame by cutting two 2×4’s to 4′ long, and four 2×4’s to 3′ 9″ long. Assemble as shown on illustration above using 3 1/2″ nails. 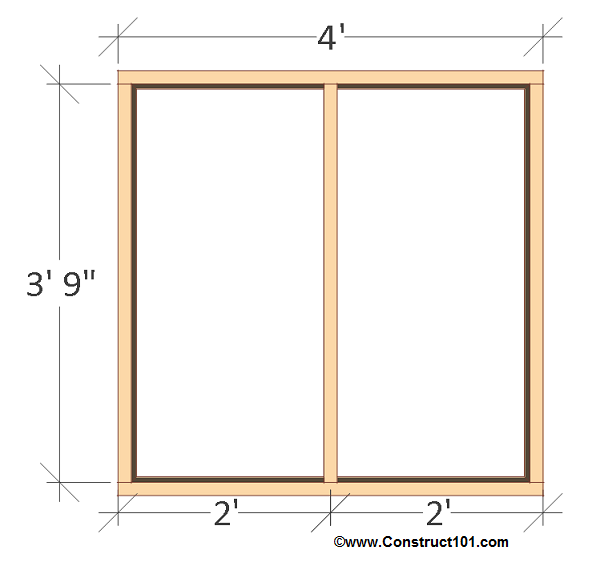 Build the right wall frame using two 2×4’s 3′ 5″ long and three 2×4’s 3′ 9″ long. Assemble as shown on illustration above using 3 1/2″ nails. Build the left wall frame by cutting two 2×4’s to 3′ 5″ long, two 2×4’s to 3′ 9″ long, one 2×4 to 3′ 2″ long, and one 2×4 to 2′ 7 1/2″ long. Assemble as shown on illustration above using 3 1/2″ nails. 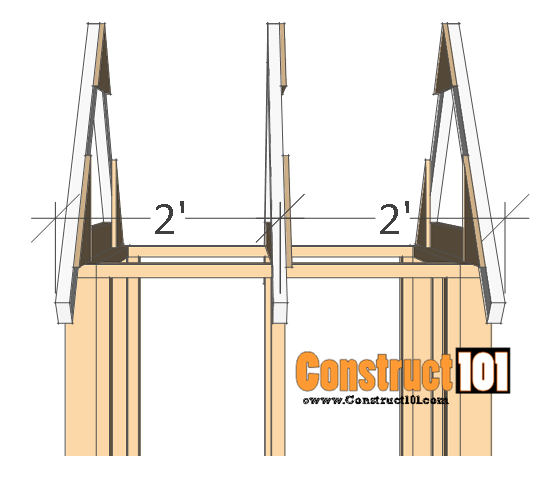 Install the walls into place, nail 3 1/2″ nails through the wall frame and into the floor deck and frame. Do not nail into the bottom plate of the door entrance, cut and remove, see illustration above for details. 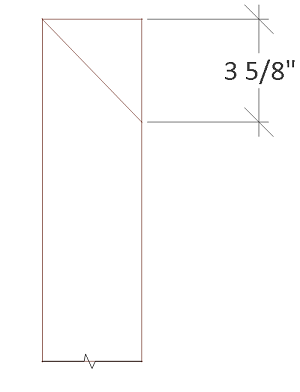 Cut the roof rafters (A), cut six 2×4’s to 3′ 10 1/2″ long, cut one end of the 2×4 as shown on illustration above. 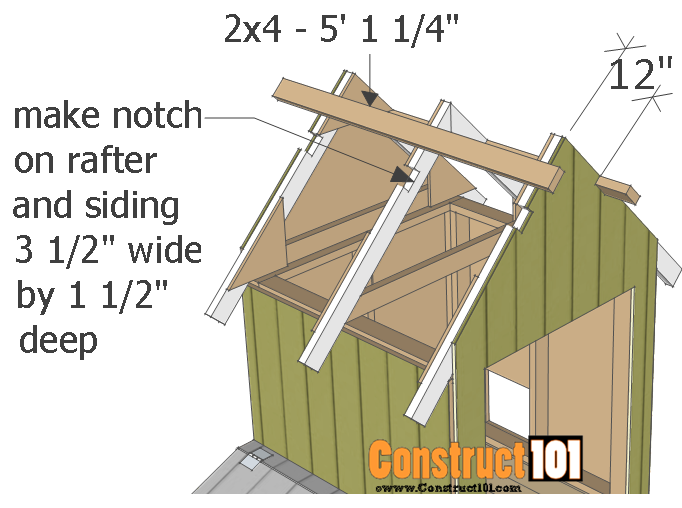 Cut the roof crosspieces (B), cut three 2×4’s to 4′ long, cut both ends in opposite directions as shown on illustration above. 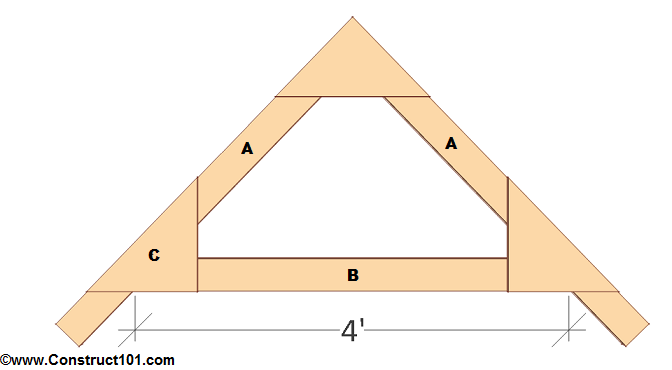 Assemble the roof truss as shown on illustration above. 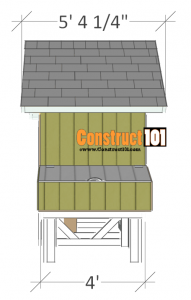 Cut gussets (C) from scrap siding, or roof deck and assemble with 2″ nails. 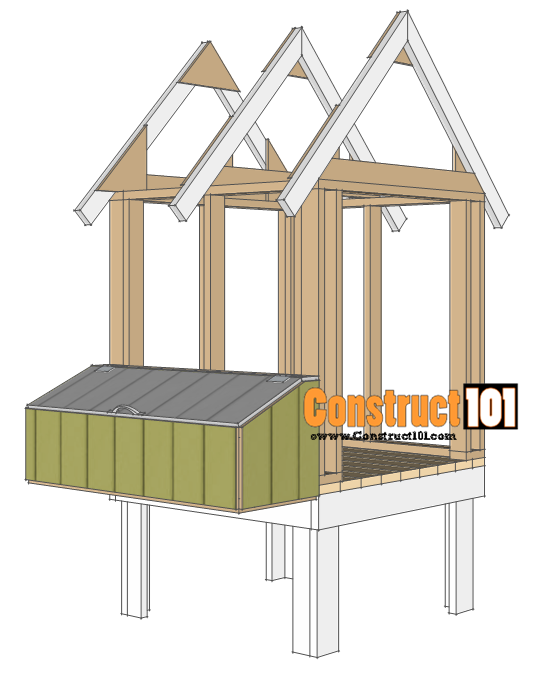 Install the roof truss as shown on illustration above, use 3 1/2″ nails, toe nail through the truss and into the wall frame. 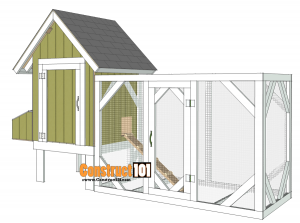 See “chicken coop nest box plans” to build the nest box. 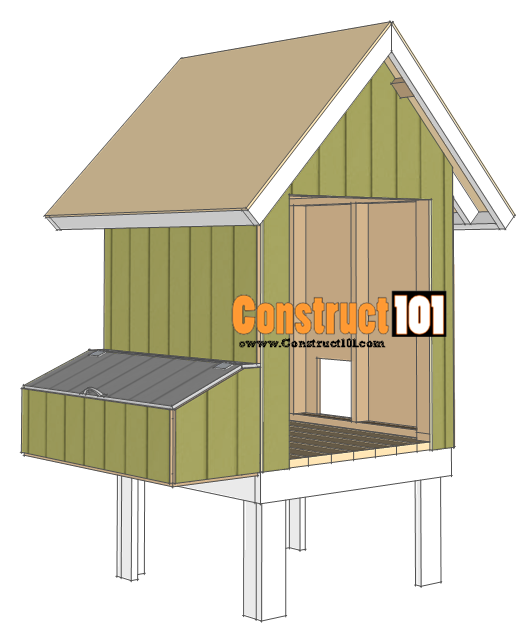 Once the nest box has been built attach it to the chicken coop as shown on illustration above. Use 3 1/2″ carriage bolts, nuts, and washers. The shopping list for the chicken coop plans does not contain the material needed for the nest box. 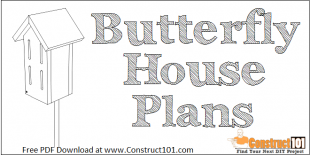 See the chicken coop nest box plans for shopping list. The siding used is T1-11 exterior siding. 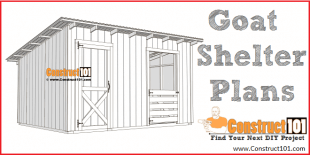 Use 1 1/4″ finishing nails to install siding. Cut out the front door opening, the piece that has been cut out will be used to make the door. 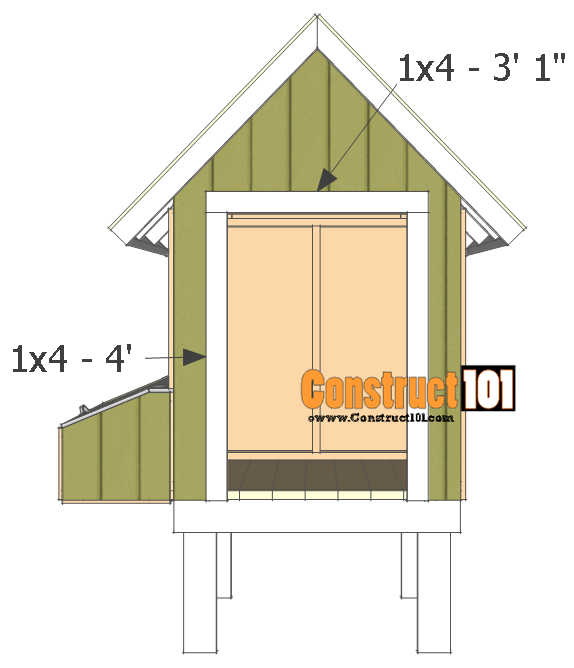 Next cut a small door on the right siding as shown on illustration above, illustration shows a 1’x1′ door opening. Cut two 2×4’s to 5′ 1 1/4″ long, these 2×4’s will be used to make the overhang to the chicken coop roof. 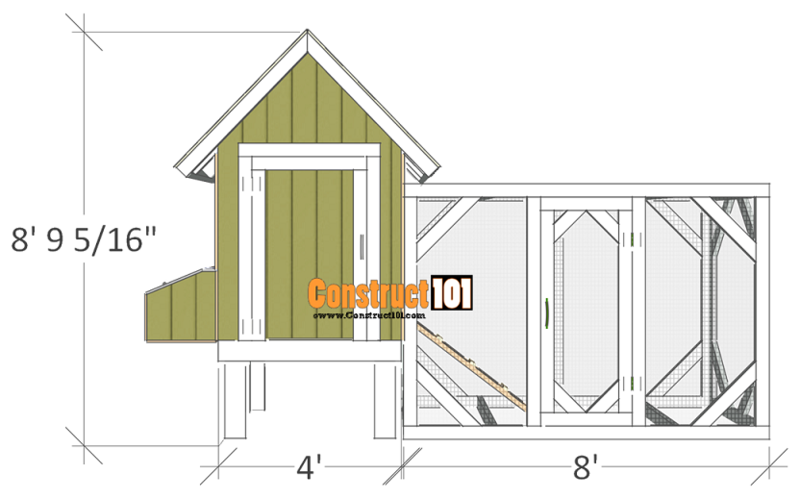 The roof rafters and siding will need to be notched to attach these 2×4’s, see illustration above for details. 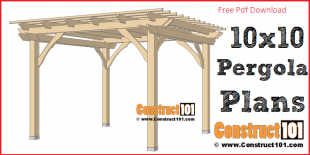 Attach the 2×4’s to the roof truss using 3 1/2″ nails. 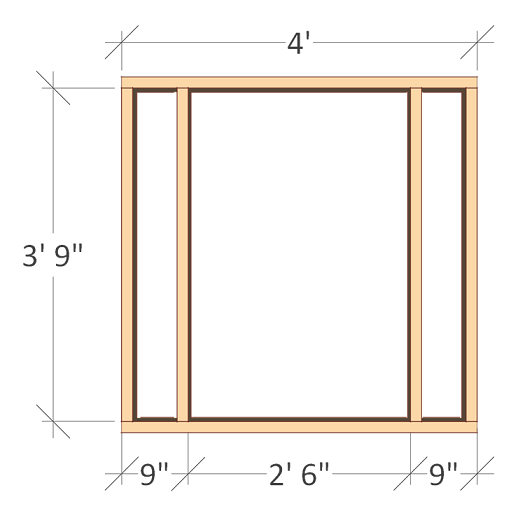 Cut four 2×4’s to 4′ long for the front and back roof trim. 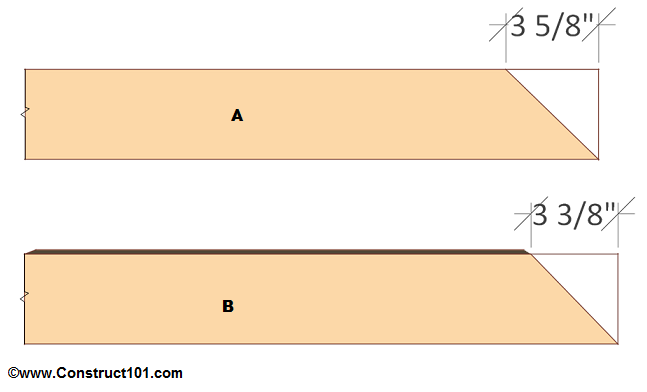 Cut one end of the 2×4’s as shown on illustration above. 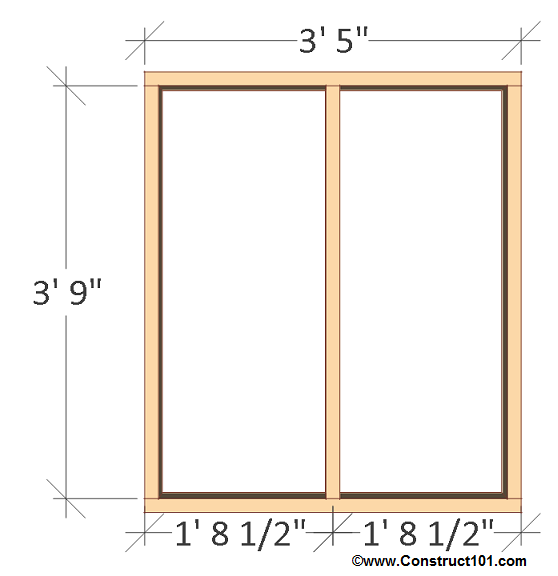 Cut two 2×4’s to 5′ 1 1/4″ long for the roof side trim. 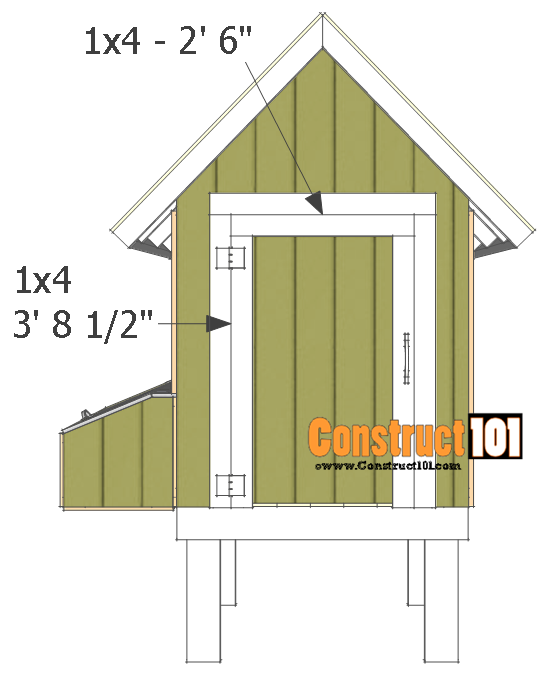 Install the roof trim as shown on illustration above using 3 1/2″ nails. 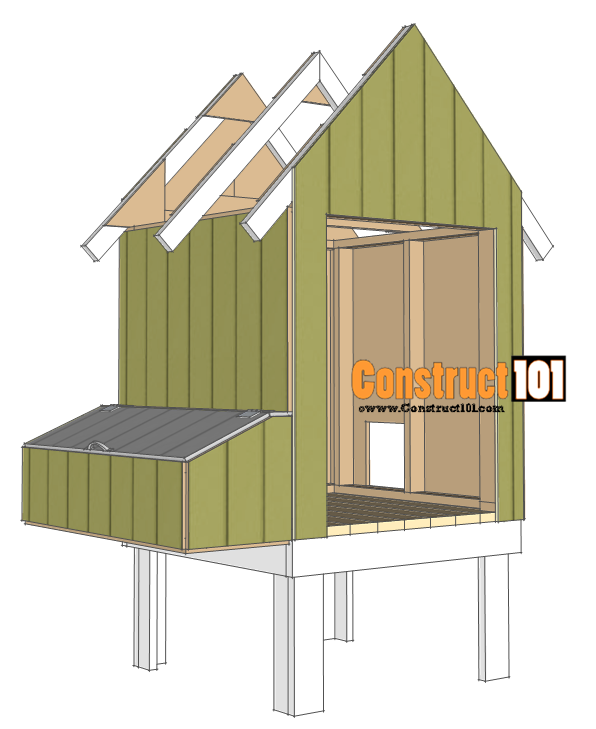 Cut two sheets of 1/2″ plywood to 5′ 4 1/4″ x 4′, install the roof deck using 2″ nails. 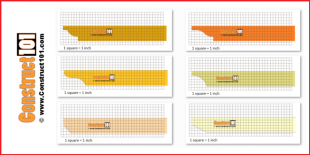 Cut two 1×4’s to 4′ long and one 1×4 to 3′ 1″ long. Attach the 1×4 trim around the door 1 1/4″ finishing nails. Cut two 1×4’s to 3′ 8 1/2″ long and one 1×4 to 2′ 6″ long. 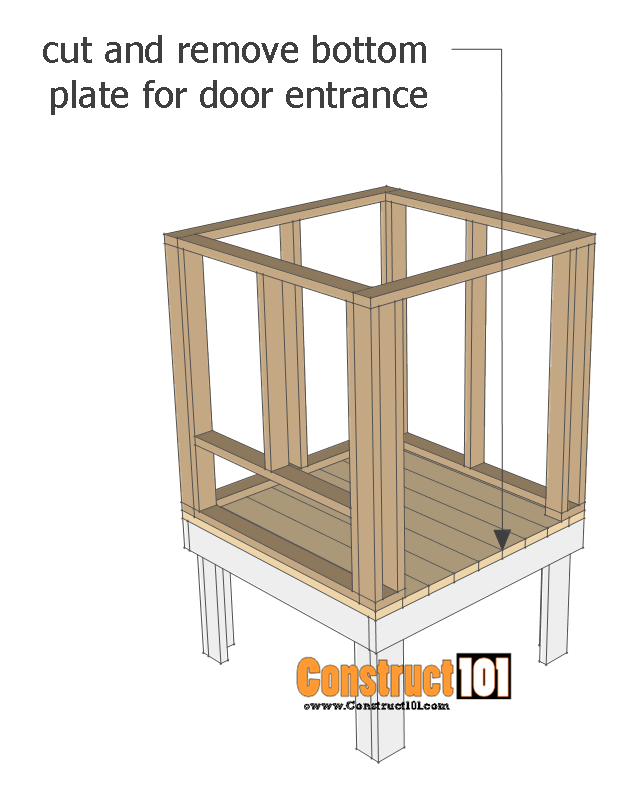 Attach the 1×4 trim to the door using 1 1/4″ finishing nails. Install the door hinges and install door. Install the roof felt and shingles. The ladder shown on illustration above is built using a 2×8 board and 1×2 nailed to the 2×8. 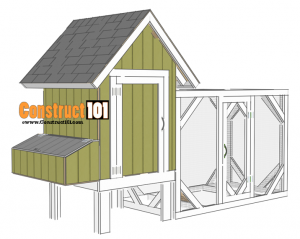 Build a chicken roost for the inside of the coop. 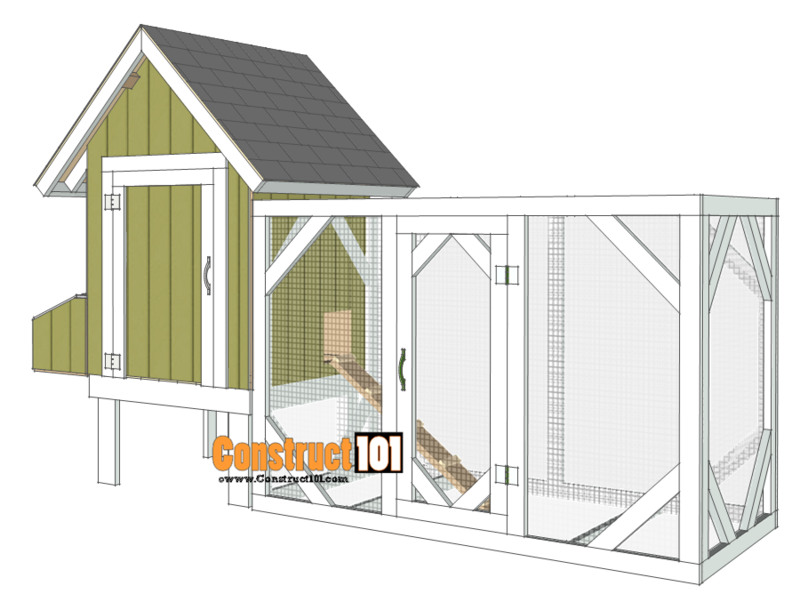 See “chicken coop run plans” to build the chicken run. The shopping list for the chicken coop plans does not contain the material needed for the chicken coop run. 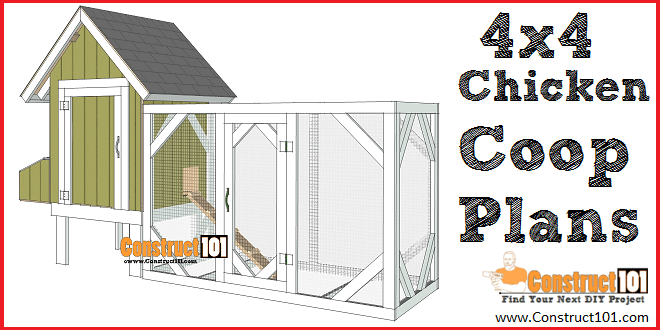 See the chicken coop run plans for shopping list. 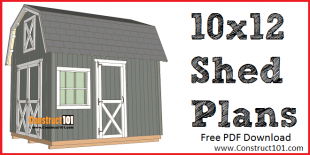 Like these 4×4 chicken coop plans? Let me know, leave me a comment below. Share this link with your friends and your social media, thanks. Hey Mushy. Do you have any schematics for this coop? I like the way the whole wall opens up like that.